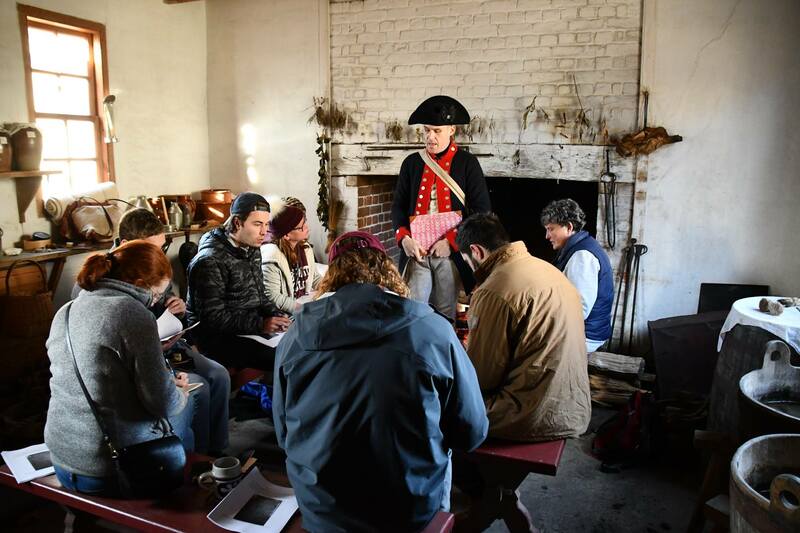 Thinking about applying for the EXARC - Colonial Williamsburg Fellowship? Waver no more and just do it!! I just finished my month-long fellowship. It was a truly amazing experience, and I don't say that lightly. The people at Colonial Williamsburg are incredibly friendly and helpful, while their expertise is off the charts. 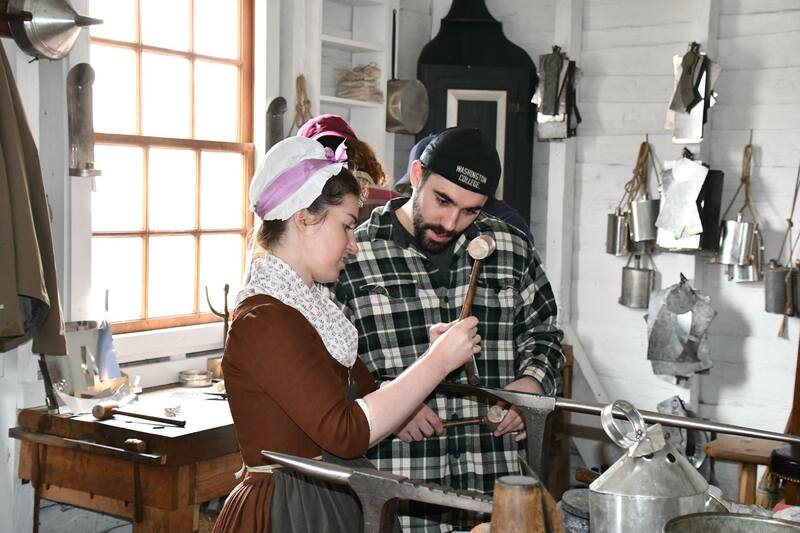 Combine their human resources and knowledge base with their collections (library, archival, and material culture) and their physical assets (one of the world's greatest outdoor, living history museums), and you have unparalleled opportunity. This is a news item to give you a sense of what was involved. Concrete results will have to wait for some EXARC journal articles, but this will hopefully give the flavor of the place. Stay tuned! The research proposal was multi-faceted. 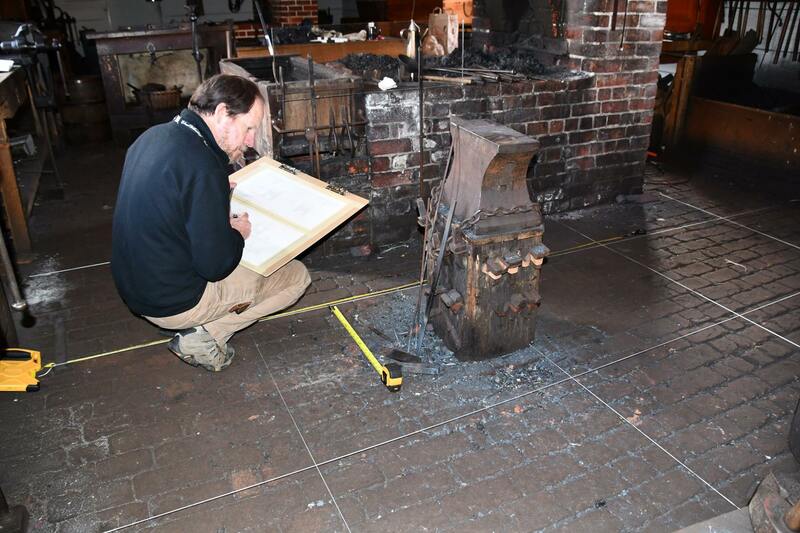 One part involved analysis of space usage and waste inside the Anderson Forge and Armory to better understand archaeological signatures and what they can tell us about past human behavior. 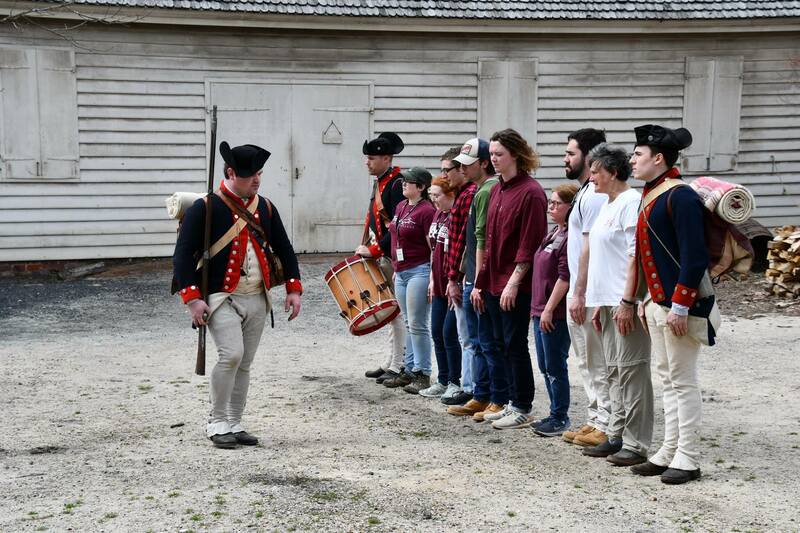 Much of the work for the EXARC Fellowship was based on previous research at the 1778-1779 winter cantonment of the Continental Artillery in Pluckemin, NJ. 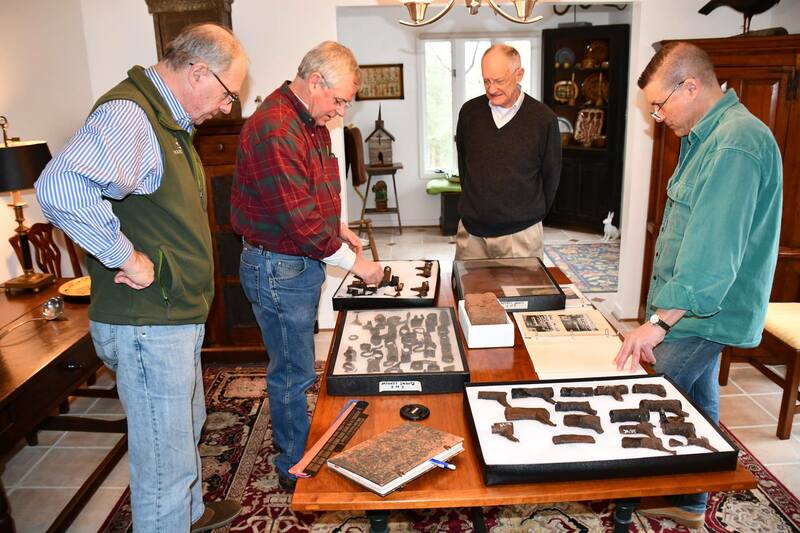 As part of this work, we engaged archaeologists from Washington College and experts from Colonial Williamsburg (CW) to look at comparative forge and armory materials from that site and others, such as the archaeology at the Anderson Forge (CW) and Point of Forks (VA). Point of Fork was a Continental arms facility built in Fluvana County late in the Revolution. It was burned by Simcoe's Queens Rangers in 1781, but then re-built. It became an important arms manufactory in the early Federal period. One of the best collections of materials from the site in the Giles Cromwell collection - Mr. Cromwell generously opened it up to us for examination and comparison. 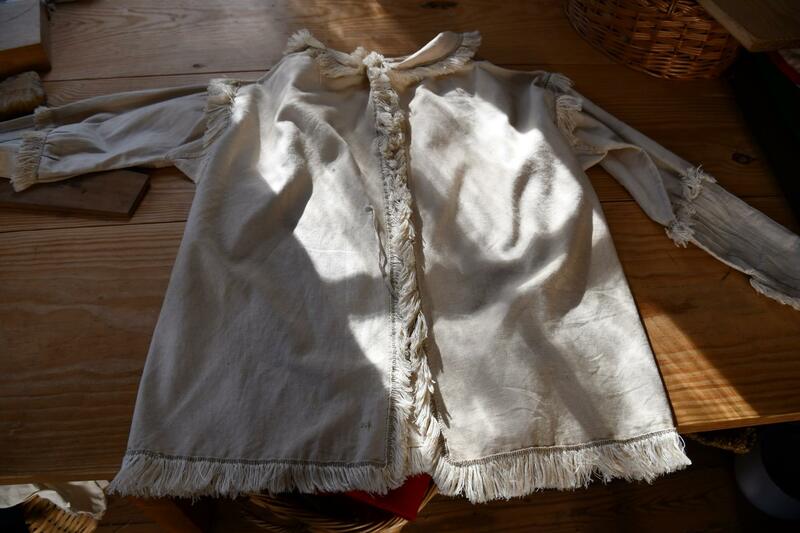 It has many materials similar to those from Pluckemin, but also shows arms in various stages of manufacture. 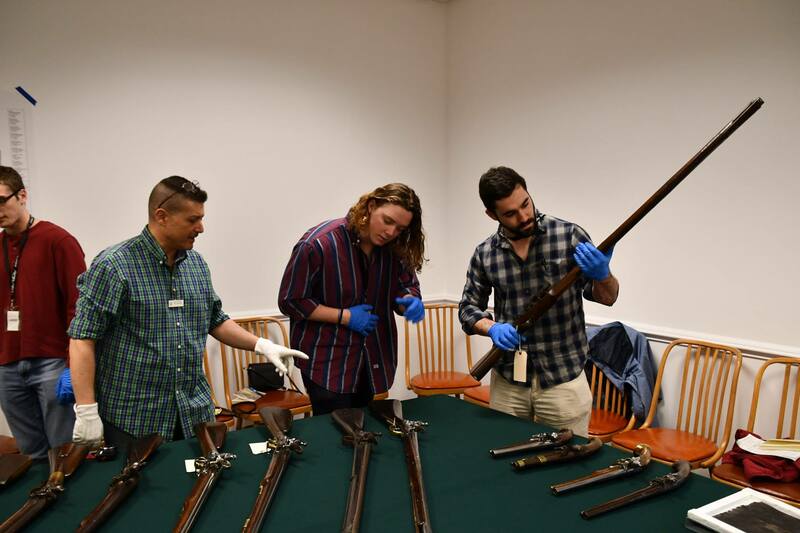 Evidence of bayonet modifications at Pluckemin, now seen at other Revolutionary War sites such as Morristown and Point of Fork, was the impetus for a specific experiment, testing ideas on how to retrofit British bayonets to fit French muskets that were arriving in America in great numbers. 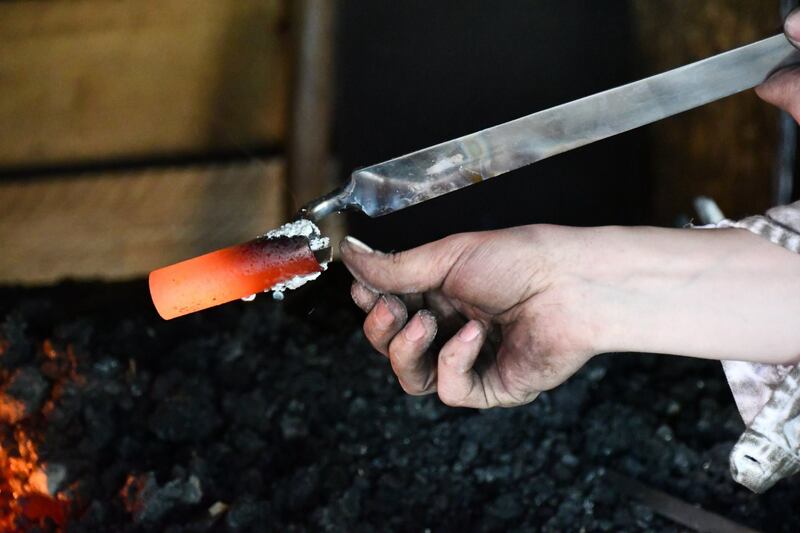 After experimenting myself, we did a blinded experiment, presenting a gunsmith and a blacksmith, independently, with the problem of how to make a repro British bayonet fit a French gun. 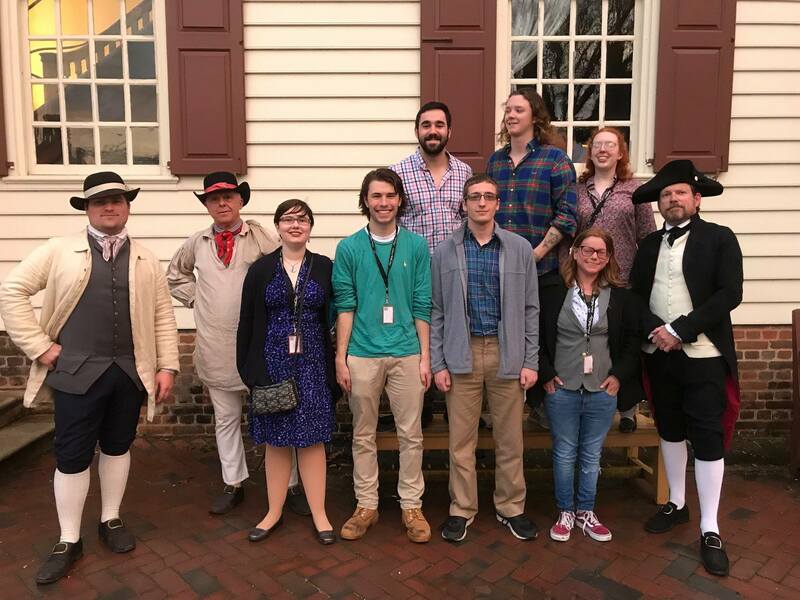 A final component of the EXARC Fellowship was to brainstorm programming ideas for Colonial Williamsburg, with an emphasis on both undergraduates and older adults, in experiential learning and experimental archaeology. This is fertile ground and a work in progress. But some possibilities are illustrated by a class I am running with my colleague Chuck Fithian at Washington College. 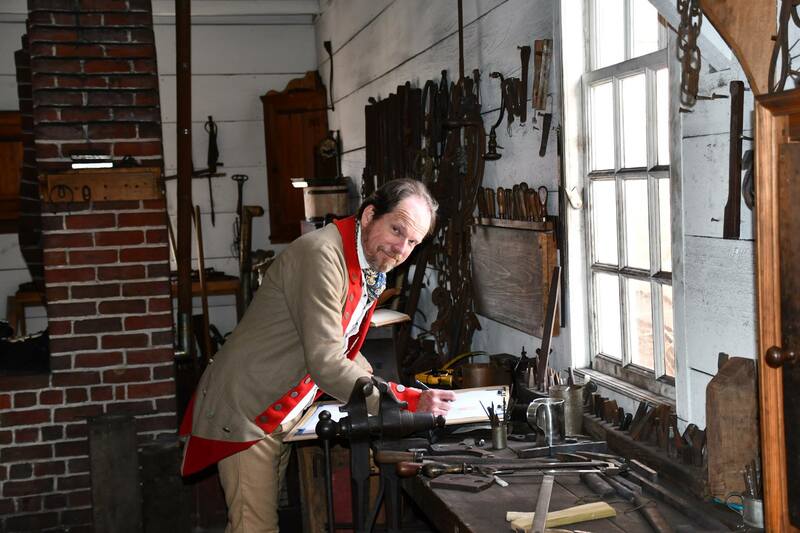 As part of "Material Culture of the American Revolution," our class spent 8 days in residence at CW over Spring Break last week, working behind the scenes in a variety of trades. 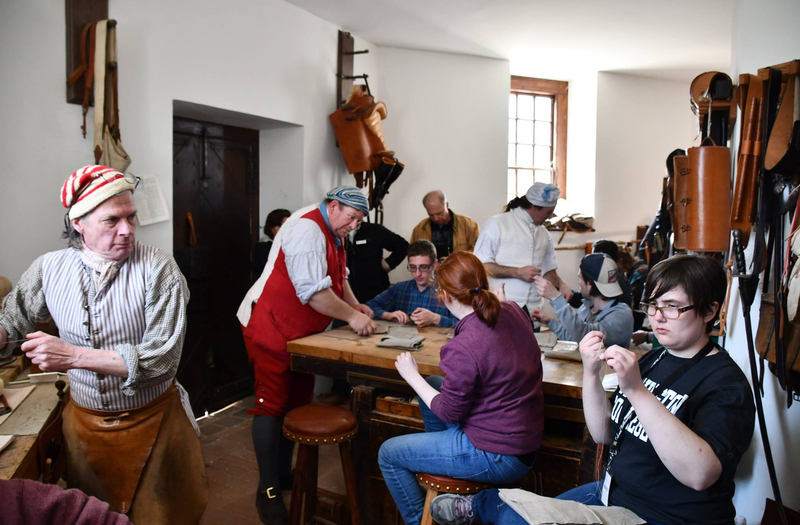 The last part of the stay in Williamsburg involves putting book learning to use in drill and camp life, while also putting to use the objects made over the course of the week. Joel, Rob, and Aaron worked the recruits hard. I need to once again say how amazing this fellowship was, crossing back and forth between two centuries. 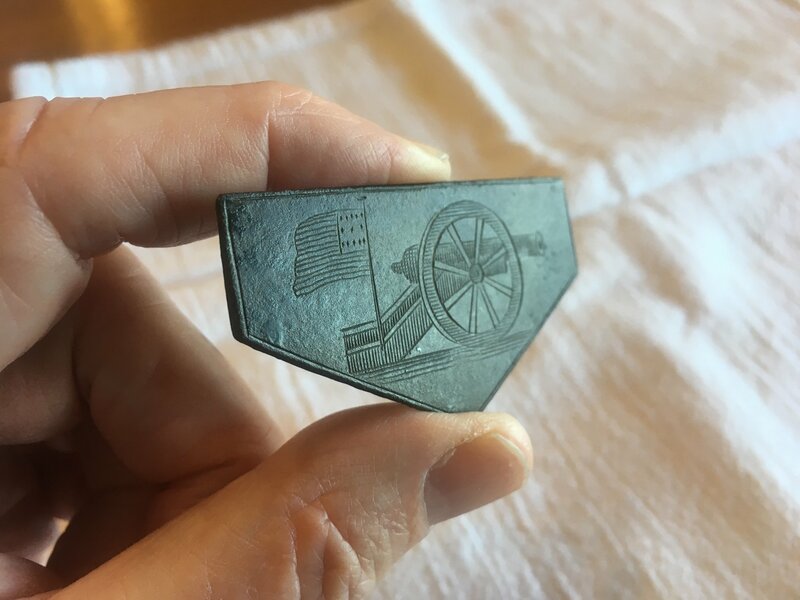 Thanks to EXARC and to Colonial Williamsburg for making it possible, and to all of the incredible people who made my research so much easier. You know who you are, and I thank you. This was an extraordinary opportunity in an extraordinary place. Again, for colleagues who may be thinking about applying for this year's fellowship opening, do it!! I promise you won't regret it. 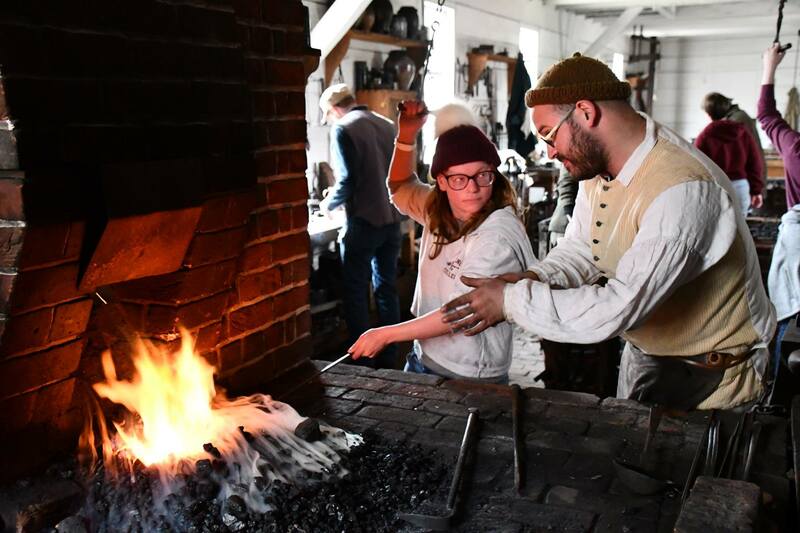 Apply for the Colonial Williamsburg Foundation - EXARC Fellowship before the end of March and get 2,500 USD.